The April 1991 Easter Rising 75th Anniversary Issue of Irish America is now online. In celebration of the 100th anniversary of the Easter Rising, Irish America has digitized its 75th anniversary Rising issue. 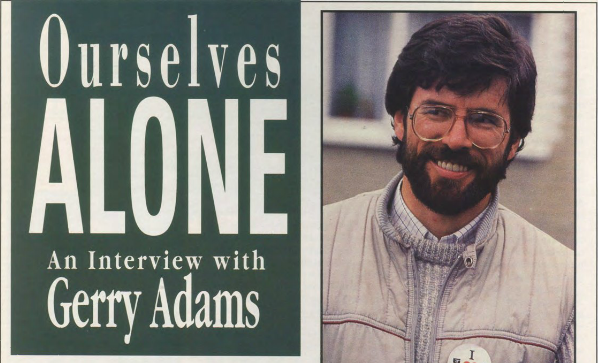 Featuring an exclusive interview with Sinn Féin president Gerry Adams, the issue is both a historical look at the Rising and presages what was to transpire with the Peace Process throughout the 1990s. In his interview with Patricia Harty, Adams discusses the need for all-party talks, a political solution, and Irish American involvement to aid in the cessation of violence in the North. The issue also features interviews with Seamus Heaney and Maeve Binchy, looks at the tragedy of Canada’s Grosse Ile where hundreds of Famine immigrants died in 1847, the Irish romances of 1916, and special coverage of how the Rising shaped contemporary Ireland. How can I purchase one copy of the Easter Rising Commemorative Issue?